Midstate's staff of engineers is one of the most professional in the Midwest. 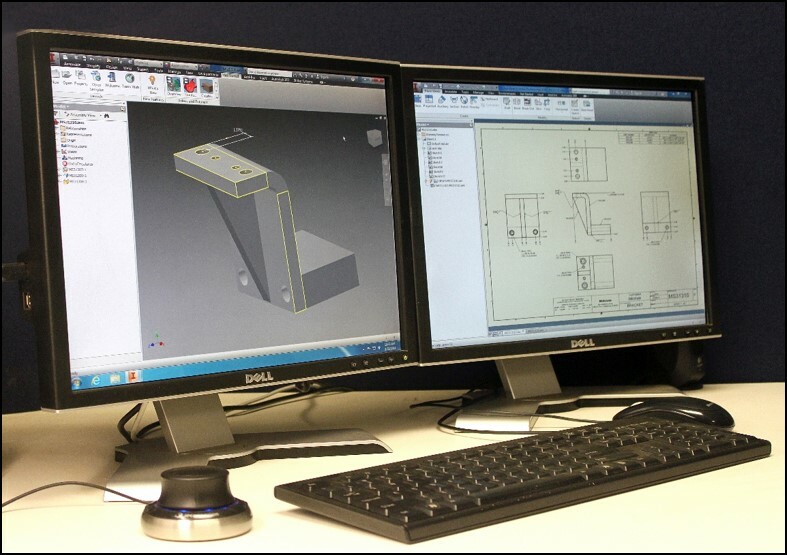 Our engineers utilize AutoDesk Inventor 3D and AutoCad 2D in conjunction with our customers design software to accurately develop your product from a sketch to a computer program to a manufactured product. Our engineer's backgrounds vary from the railroad industry, to appliance construction, to industrial buildings to custom/mass production fabrication of engine and automotive industry products. Midstate’s staff of engineers is one of the most professional in the Midwest. Our engineer’s backgrounds vary from the railroad industry, to appliance construction, to industrial buildings to custom/mass production fabrication of engine and automotive industry products. Our engineers utilize Autodesk Products and Virtual Gibbs for CNC design and programming in conjunction with our customers design software to accurately develop your product from a sketch to a computer program to a manufactured product.